I've always loved how little minds work, especially when it comes to language. 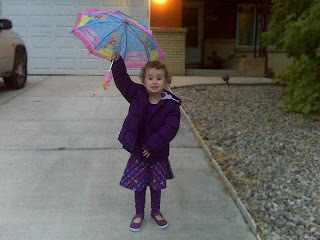 If you click the photo below, you'll see Addy - all decked out in her grandma's favorite color - with her Cinderella umbrella. Or as Addy calls it, her "Cinderberella".